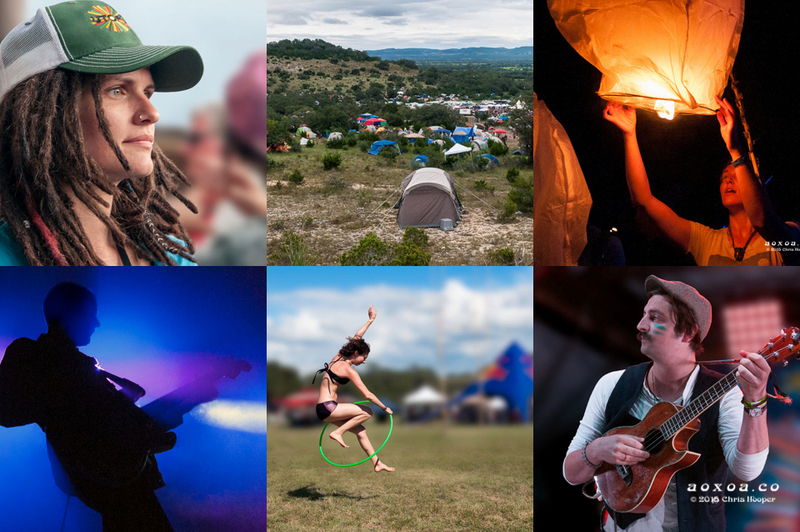 The UTOPIAfest Texas Hill country: the ultimate in festival camping experience. 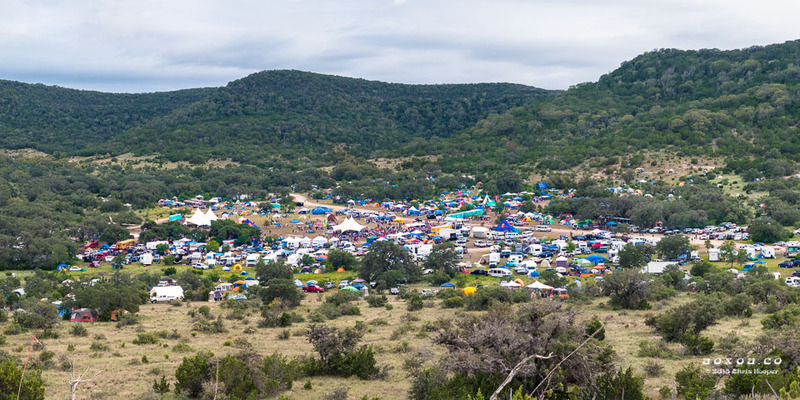 UTOPiAfest 2015 is a unique camp-out festival offering mind-blowing musical performances and West Texas Hill Country sunsets. Presented in a natural amphitheater on the 1,000-acre Four Sisters Ranch (between Garner State Park and Lost Maples), UTOPiAfest is a true alternative to the large multiple-stage festivals that often favor quantity over a quality audience experience. Intimate stages. 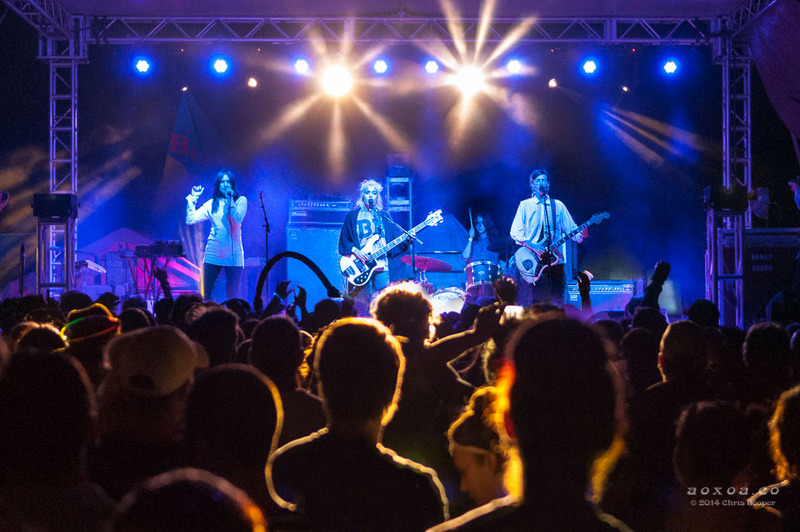 Warpaint from UTOPIAfest 2014. With only two stages and only 2000 tickets being sold, fans will have plenty of space to dance and enjoy full sets by world-touring bands from a variety of genres. 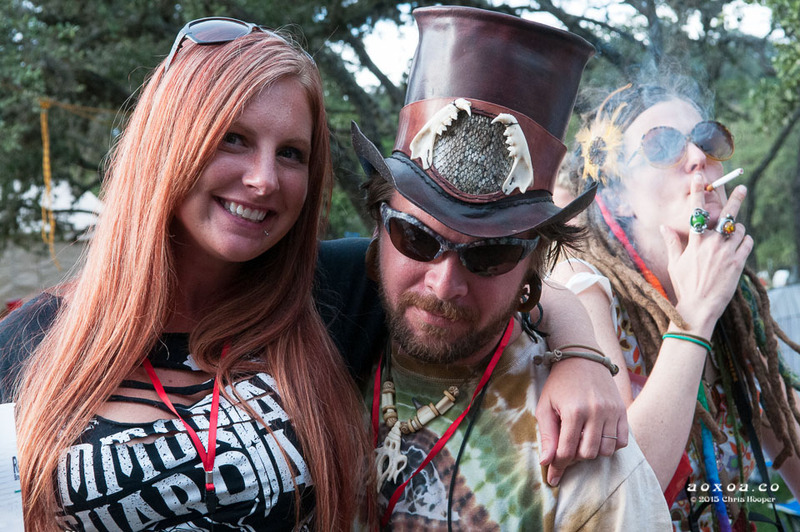 Thoughtfully designed to allow creativity, music, and new friendships to flourish in a unique and intimate setting, UTOPiAfest 2015 is bringing back the basics by showing an unparalleled hospitality to both artists and music fans. 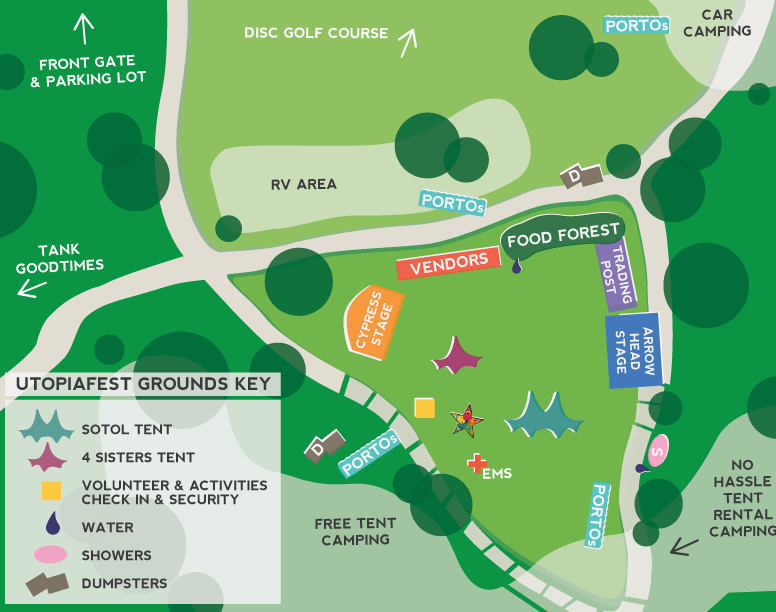 Festival attendees can enjoy their free camping (cabin and RV lodging is also available), and while there are plenty of options for dining in their food forest, everyone is welcome to bring their own drinks and food under the festival’s open BYOB policy. Wild Child to perform again at UTOPIAfest 2015. 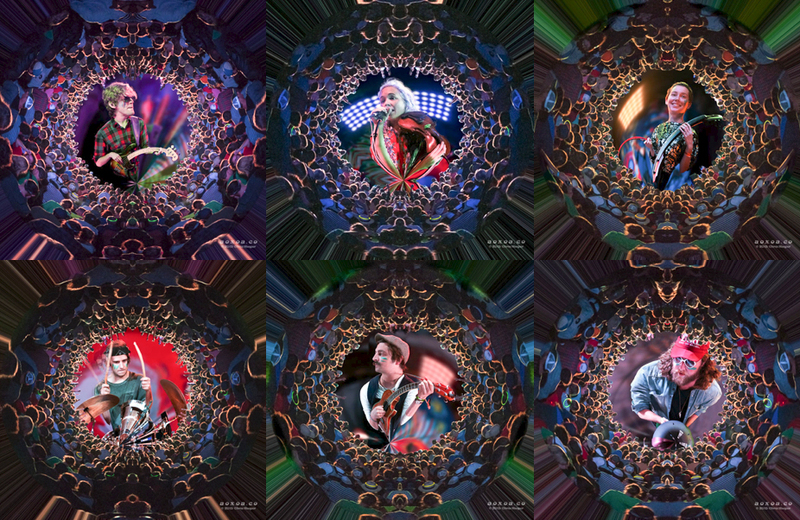 To purchase tickets and check out the full line-up, including Explosions In The Sky, Charles Bradley & His Extraordinaires, tune-yards, of Montreal, RJD2, Leftover Salmon, Wild Child, Man Man and more, please visit: http://www.utopiafest.com/. 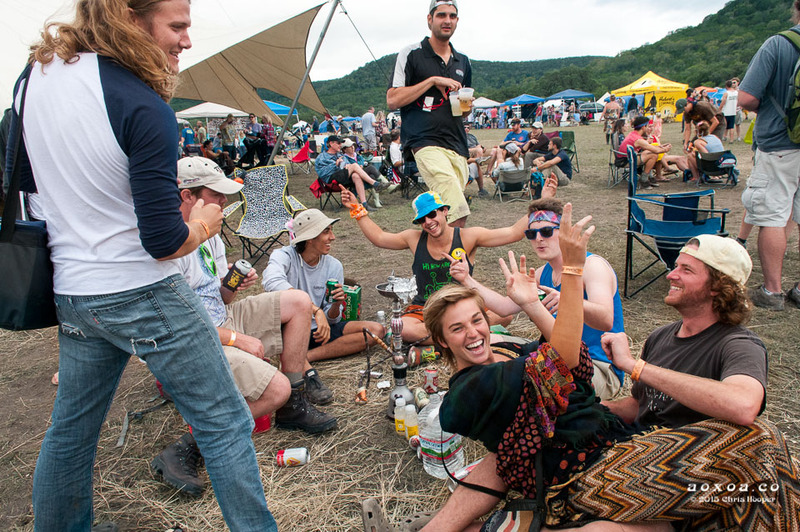 UTOPiAfest was founded on the belief that a music festival should be experience-centered. 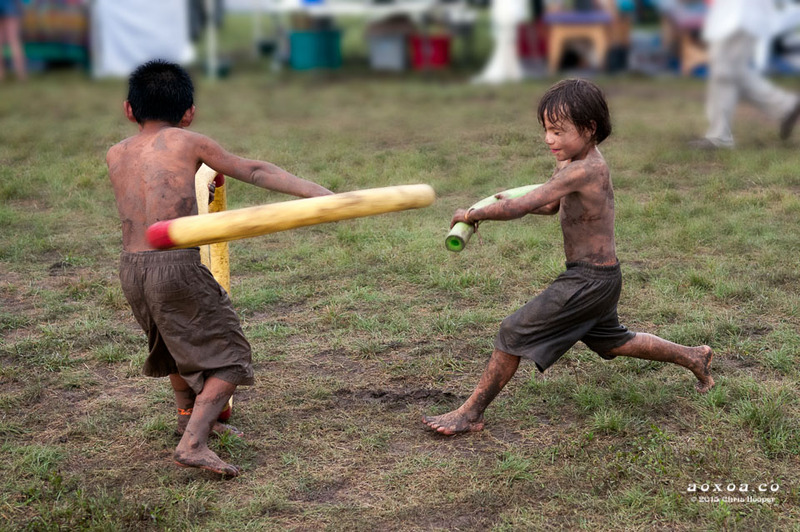 One set in beautiful, natural surroundings where the positive energy from the land is palpable; a place where you find and meet more friends than strangers. 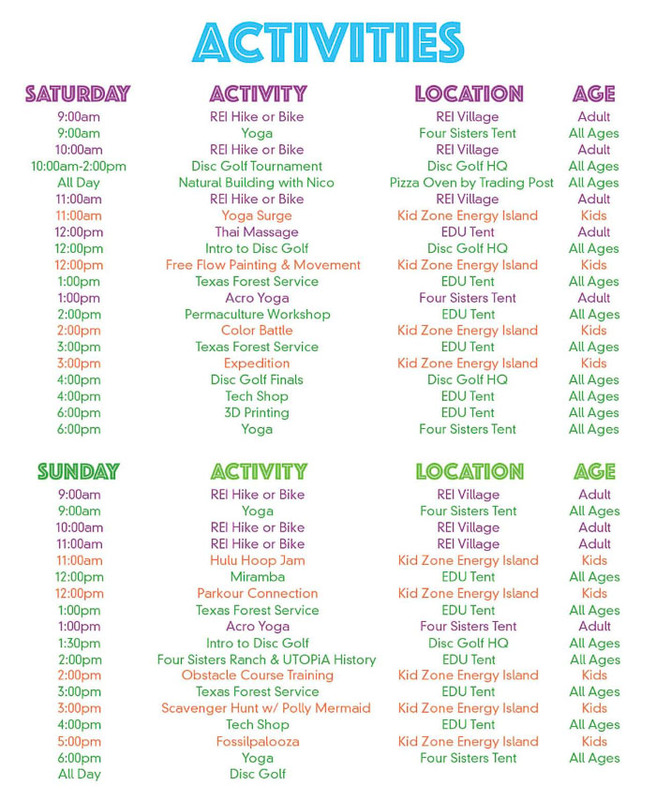 The festival is also offering a limited number of Hassle Free Tent Rentals, which include a pre set up tent, cots or air mattresses, chairs, coolers, and a lantern. Festival merchandise, including t-shirts, tank tops, and hoodies, is available as well and can be ordered now, here: http://bit.ly/1DquTPu. 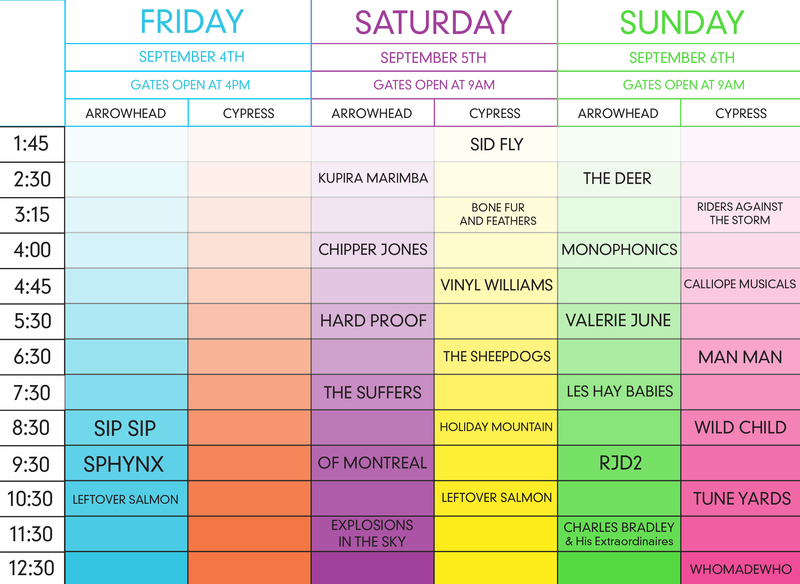 Weekend and Day Passes for the festival are on sale now: http://www.utopiafest.com/tickets/.